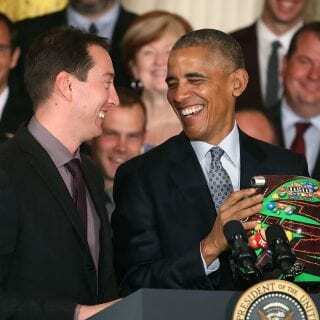 NASCAR driver Kyle Busch visits White House and President Barack Obama in annual champion visit. 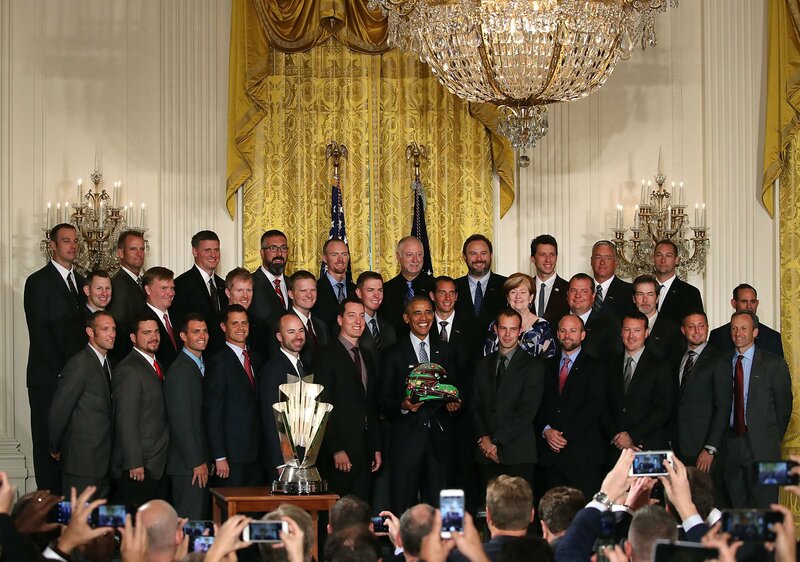 View the photo album from the visit to the White House below. 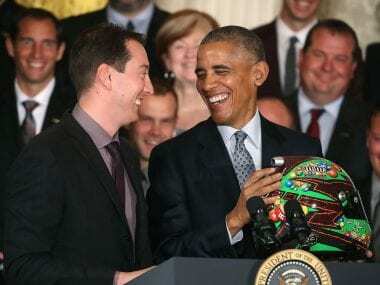 HUNTERSVILLE, North Carolina (Sept. 27, 2016) – Kyle Busch’s work week will start at our nation’s capital and, by the time the weekend ends, he and his M&M’S team hope to be in victory lane in another capital city – Dover, Delaware. Busch, driver of the No. 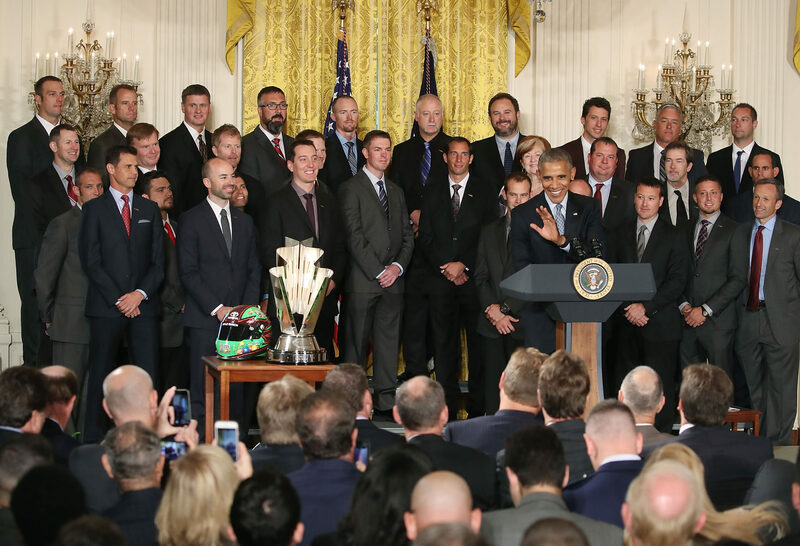 18 M&M’S Toyota for Joe Gibbs Racing (JGR), and his entire championship winning team from 2015 are scheduled to travel Wednesday to Washington, D.C., as President Obama will welcome Busch and his team members to the White House to honor his 2015 NASCAR Sprint Cup Series championship. The visit will continue the tradition begun by President Obama of honoring athletes and sports teams for their efforts to give back to their communities. 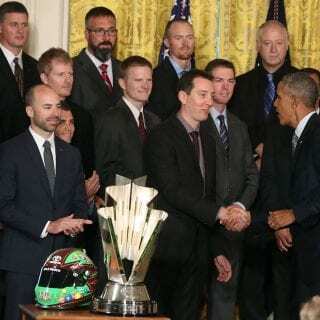 Wednesday’s visit to the White House is all about recognition for accomplishments during a magical 2015 season that saw Busch and his team rally to finish one of the best comeback stories in NASCAR history. After fracturing his right leg and left foot in an accident at Daytona (Fla.) International Speedway in February of 2015, Busch missed 11 races but rallied to make it back within the top-30 in points to make the Chase for the Sprint Cup playoffs. Busch capped his stellar Chase performance with his fifth win of the season in the series finale at Homestead-Miami Speedway, which earned Busch his first career Sprint Cup title. 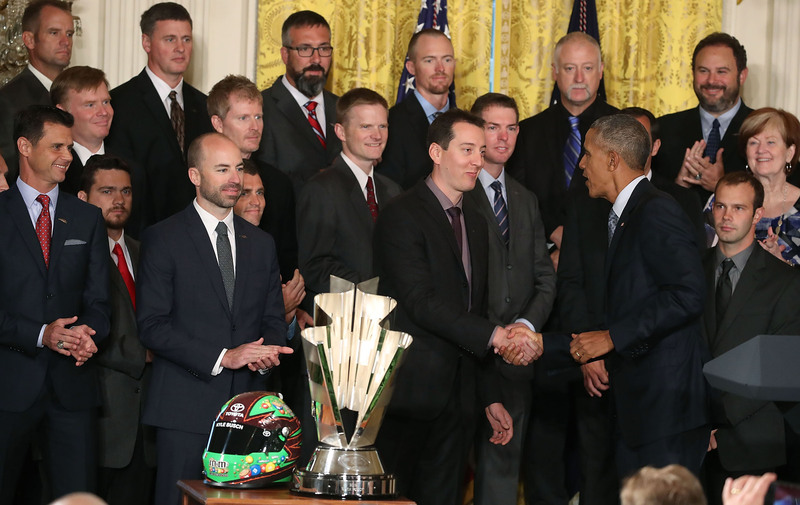 After their White House visit, Busch, crew chief Adam Stevens and the entire M&M’S team will have to quickly shift their focus to this year’s title fight. Starting Friday, Busch and the M&M’S team will be just up the road at Dover (Del.) International Speedway for Sunday’s Citizen Solider 400, where the team will look to advance to the Round of 12 of the Chase. Busch enters the third Chase race at Dover looking to take another step toward defending his title. It’s the first cutoff race and Busch sits third in the standings with a healthy 33-point margin ahead of 13th place. Only the top 12 drivers advance to the Round of 12, which begins the following week at Charlotte (N.C.) Motor Speedway. So, as the M&M’S team heads to Dover, Busch is looking to go from capital to capital this week with his sights set on another win, and also to lock himself into the Round of 12 following Sunday afternoon’s 400-miler on the Delmarva Peninsula in Delaware’s capital city. What will be the team’s goals this weekend at Dover? How do you feel with a 33-point cushion heading into Dover? What does it take to be successful at Dover? Do you enjoy racing at Dover? Does going from concrete to asphalt change the way the car handles? You have two Sprint Cup wins and a competitive history at Dover. What is your outlook with your history there?